Other photos: Sailine Solution under sail, Enjoying the afternoon sun, Manufacturer Provided Image, From the cockpit, Bow sprit holding the main anchor, Beautiful woodwork on the bow, Boom Gallows, Note the beautiful woodwork on the butterfly hatch, Port bow view, Stern view at anchor, Main salon, Galley, A 10 everywhere you look, Two burner stove, On her custom trailer ready to roll, Under cover for the offseason, Part of the marine head, Beautiful stained glass butterfly hatch, Looking aft in the main salon, Note the tuck under quarter berth, Sailing under spinnaker power, Storage under the cabin seating, Photo 23, Photo 24, Marine head and holding tank, Navigation storage area, Ready for another day on the water, Great v-berth cushions for a solid sleep. Call or email Capt Ed Benson or any of the staff of Punta Gorda Yacht Brokers at 941 833 0099 for additional information or to arrange a private showing. You can reach Ed's cell phone at 941 628 0167. 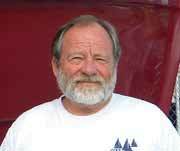 Put my years of experience on the water to work for you when buying or selling your boat!